Another week gone so it is time for another update! I am happy with what I managed to get done this week because recently I got obsessed with The Greatest Showman because not only is the movie beautiful, but the music…I am obsessed. If you haven’t watched it then drop everything right now and go do that, it will change your life. I wish I could write to the soundtrack but I can’t help but sing along every time it comes on thus I would never get anything done. Last night I finally finished The Lost Hero audiobook by Rick Riordan and while I can say it was definitely worth revisiting in audiobook format and that I had a blast, it was a very long one being about sixteen hours. I finished it though, which means I can start a new audiobook! I think I will be starting the next book in the series, The Son of Neptune, and I am really excited because it has been forever since I picked up this one. Another book I am currently working my way through is Shatter Me by Tahereh Mafi! The new addition to the Shatter Me series, Restore Me, is coming out in only a matter of weeks and I am so, so excited. Saying that though, it has been over a year since I read these books so I think it is time for a re read before cracking open the new one. 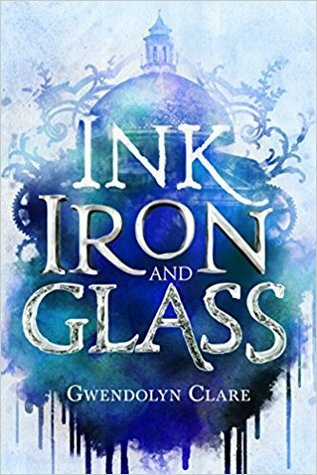 I do remember loving these books though so I am also extremely pumped to visit the characters and world again. Lastly, I will be starting a third book because in my English class we are doing independent novel studies. I am having some trouble choosing between The Book Thief by Markus Zusak and The Girl of Fire and Thorns by Rae Carson. Currently I am in the fantasy mood so I will probably end up picking up the Rae Carson book but we will see! As for writing…well I am at a bit of a crossroads. I really like my novel idea but I am in the middle of outlining and I just have no idea how to carry the story on into the middle and then the end. I have an idea on how I want to end it, but it just isn’t something that makes me excited. I have been stepping away and thinking about it for the past few days but I think I have come to the conclusion that I need to rework my original idea. Today is going to be devoted to figuring out what the next step in my outline is, whether it is to fix a few things to make it flow or to scrap the whole thing…wish me luck! Below are a few different things that I believe all writers need. These things are books, podcasts, TV shows, and really anything that I feel enhances your creativity. Make sure you check out all the links I provided below because you will not regret it! If you are a writer and haven’t heard about NaNoWriMo…I don’t know where you’ve been because it is huge! NaNoWriMo stands for National Novel Writing Month and is a writing event that inspires writers from around the world to attempt a 50,000 word draft in one, single month. This takes place in November every year, but they also have events like Camp NaNoWriMo in April and July every year. However, instead of aiming to hit 50,000 words, you can choose your word goal. Anyways there are also goodies for participants and winners, and overall it is just an amazing writing experience. 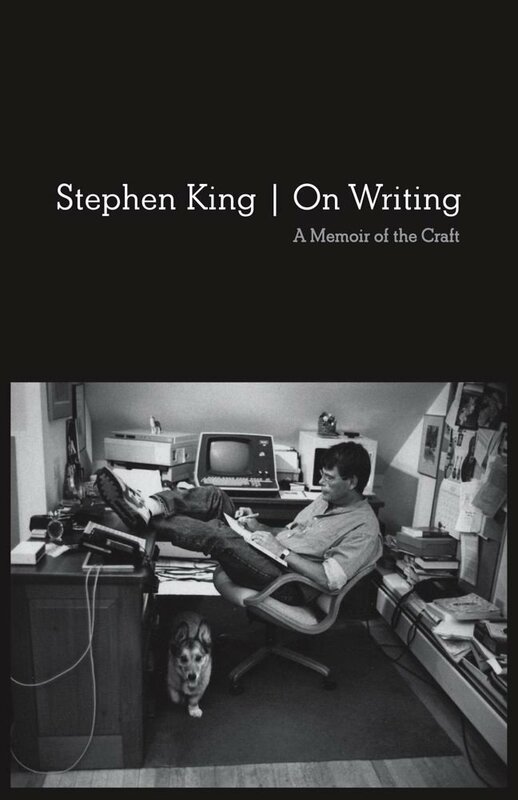 This is a book on writing that is filled with useful tips on the craft of writing as well as motivation and marketing. You will also find lots of writing exercises to get your creativity flowing, and that are also a lot of fun! This is a book that will get you pumped and ready to write with ideas practically flowing from your fingertips. 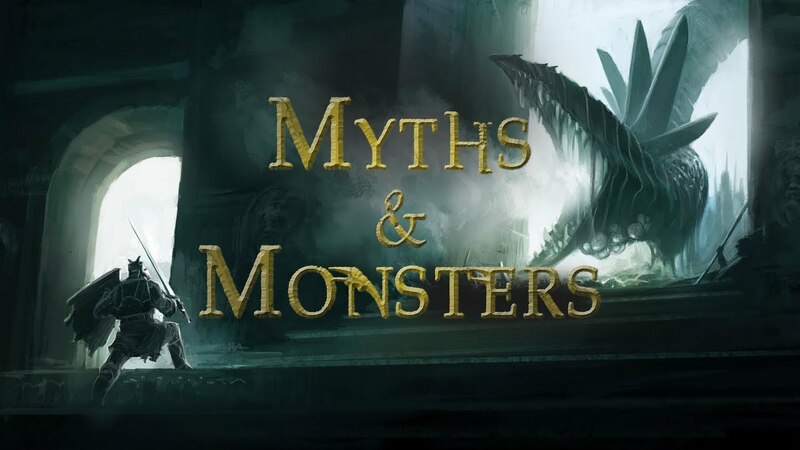 Myths & Monsters is a TV series on Netflix that every writer is screaming at you to watch. While I am only a few episodes in, I can confidently recommend it to not only writers, but anyone interested in history as well. This show is filled with mythology from all different places like Greece, Rome, Egypt, and so much more, and focuses on literature and art from those times as well. The narrators go over valuable tips and ideas on story structure and also creating an entertaining quest like the ones in the original myths. Are you in need of a fantastic podcast where you will be overflowing with info by the time it switches off? Well definitely check out the Creative Penn podcast because it is just that! The host, Joanna Penn brings on so many great writers and creative people and I always enjoy listening to their conversations. I am pretty picky when it comes to writing podcasts but this is definitely a favourite of mine. There is a lot of writing I want to get done over the course of this year, however there is not a lot of motivation and creativity to support that. To help not only me, but any of you who are also feeling stuck. Here is a list I have compiled of 5 ways to get your creative juices flowing and I hope it helps! Watch YouTube Videos On Writing – Watching writing vlogs or people talking about craft gets me extremely motivated to write. I did a post a few months back on some AuthorTubers (and a few BookTubers) I recommend so I will definitely leave that here for you to check out because you won’t be disappointed. These authors/youtubers are amazing and dedicated and soon you will find yourself also wanting to be amazing and dedicated. Do A Different Type of Art – I really am not an artistic person but I do enjoy collaging and sometimes when I get stumped creatively, I will bring out my collage stuff and start collaging. It is nice to just let go and pour myself into something other than my words. Also, collaging isn’t my passion so it is nice not putting ridiculous expectations on myself while doing it. Highly recommend picking up a hobby that doesn’t have to do with writing because you will benefit so much from it mentally and creatively. Listen to a Podcast – There are so many amazing podcasts on creativity, writing, and really everything you could ever want. Listening to the hosts bring in other creative people and interview them is so inspiring because they tell us how they too started at the bottom and rose to success. You can also learn a lot of valuable tips from podcasts apart from gaining back that creative spark. Write Out Your Future Goals – These can be goals you plan to accomplish in the next year or the next five years, but the point is to just write some creative things you want to get done at some point in your life. Writing these down will create an image of the future in your mind and you will suddenly be hit with a load of motivation full force. You will suddenly want to start trying to accomplish these goals, and even though you will probably lose that energy and motivation eventually, keep looking back at your goals whenever you feel that motivation sinking away. Take a Trip to the Library or Bookstore – Just being surrounded by books inspires me to write. I see all of the books that are published by others who just sat down and wrote the damn thing, and it makes me want to do just that. You can also get a book or two out of going to the bookstore which is another great way to get back into your creative groove! There are so many audiobooks I want to get to so I thought I would be organized and make a list of the audiobooks I want to get to over the next 2 or so months. If you want some great audiobook recommendations or some tips on audiobooking if you are just starting out, check out my blog post on that here! My current listen is The Lost Hero by Rick Riordan and I am absolutely adoring it, and all it is making me want to do is listen to the entire series as well. I also really want to physically re read it so I might listen to parts of the books and read other parts…regardless, these are some books I definitely want to listen to over the next few months! A few days ago I tried to listen to Lola and the Boy Next Door because I thought it would be really fun, but for some reason I just couldn’t get into it. Anyways, I am going to give Anna and the French Kiss a try and see how that goes. I really enjoy listening to contemporaries on audiobook so fingers crossed I end up loving this one! Since this is a pretty hefty book (not really length wise but story wise) I thought I would go back and forth between the audiobook and the physical book. Hopefully it will be easier to read if I do that because I really do love the concept and what I have read so far, I just want to be able to stay in the world longer than 30 or so pages. Today’s post is inspired by a podcast I listened to and that is “How to Make Money Writing Short Fiction With Douglas Smith” from the podcast The Creative Penn. I am still new to this podcast but so far I am loving it, so if you are looking for a podcast about creativity and writing definitely check it out! Anyways, I started out writing short fiction and still tend to stick to it as the longest length of story I have written was only 50,000 words…but that is ok! Since I have written a lot of short fiction, I decided to share some perks of starting with short fiction and continuing with it because there are a few. The overall message of this blog post is to start writing short fiction! They Are Easier to Get Published – There are an endless amount of literary magazines and contests that only want short fiction. Not novellas or novels but stories that are short and sweet. It is a lot harder to make money off of a novel, which requires a lot more time and effort, so why not try out short fiction and see how much you like it. I am not saying to give up novel writing because I still love writing novels, or at least trying to, but there is no reason why you can’t try both. If you need literary magazine recommendations, here is a past blog post I wrote recommending some. They Require Less Time – As I said, short fiction is short and sweet. It requires less time to outline, write and edit. It can take you a two or so days to write the first draft, and two or so days to write the second and third draft, and then two or so days to edit! 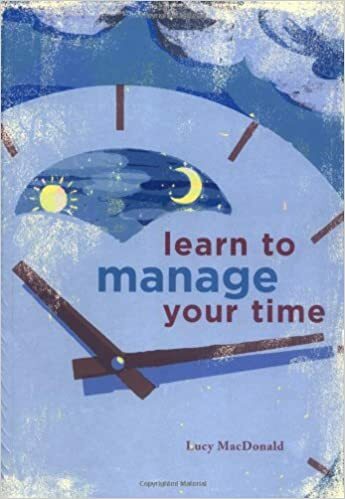 Of course it depends how much time you have and how you write, but it doesn’t matter because it will still take less time than a novel. However, despite taking less time to craft, I would not say it is much easier because compacting a fleshed out story in a few thousand words…well, that takes skills! You Become a Better Writer – Since short stories take so little time to write compared to a novel, it means you can write more of them and when you write more, you become a stronger writer. You get better at story structure, dialogue, fleshing out characters, etc, etc and more comfortable with your writing. You also find your writing voice a lot quicker, but if you want some other tips check out a blog post I wrote last week here. You Can Experiment With Genres – Diving into the world of short stories allows you to experiment with different genres easier. You can tread the waters of sci-fi or contemporary, and if it’s not for you oh well, it was only a thousand words or so. If you write a novel and half way through realize it isn’t working because maybe sci-fi isn’t for you…well that is about 40,000 words down the drain. It Is More Rewarding – I don’t know about you, but I feel very accomplished and productive when I complete a story and since writing short fiction is quicker, I end up feeling productive a lot. It doesn’t have to be ready to publish, but just having a finished story on your laptop is nice. That is all for today’s blog post and I hope you enjoyed. Sorry I wasn’t able to post something early but at least I am posting now. Don’t forget to check out my last blog post: Reading + Writing Update! Since this was the week after the Biannual Bibliothon, I thought I would slow down on the reading this week so I wouldn’t burn myself out. However, I did do quite a bit of reading so I would still call it a successful week! Fangirl by Rainbow Rowell is a book I have read countless times so I decided to give it a shot on audiobook and I loved it! It took me about a week to listen to just but it was so much fun that it was hard to pull away. Last week I mentioned it in my Audiobook Recommendations post so I definitely recommend it if you are looking for an awesome audiobook! This week I also started re reading Just Listen by Sarah Dessen and am about 150 pages into it and really enjoying it! Like Fangirl, it is a fun and easy read that hopefully I will be able to finish quickly this week. Lastly, I started listening to The Lost Hero by Rick Riordan, the first book in the Heroes of Olympus series and of course I love it so far. It is pretty long, about 15 hours, and while I am only 5 hours in, hopefully I will also be able to finish it this week. Writing has also been going well this past week. I haven’t done much writing for myself or literary magazines, but I have been blogging a lot and doing assignments for my creative writing class which obviously involves lots of fiction writing. Currently in the unit I am on, we are blending genres and writing for different audiences which I am loving and enjoying so much. There are a few writing contests I want to submit to though, so I have get on to planning and writing those stories this coming week which I am looking forward to because I love writing! That is all for my reading + writing update and I hope you enjoyed. Don’t forget to check out my last blog post: Finding Your Voice, for some tips on how to find your writing voice and keep it strong! What does it mean to “find your voice”? Well, today I am going to share with you how I found my writing voice and some tips that might help you find your own. Finding your voice in writing is something that comes with time, but it will come. It is all about being patient and persistent. After three years of actively writing, I feel like I am confident enough to share this with you, so I hope you enjoy and are able to take something away from this! I didn’t realize until a few months ago that I had finally developed a clear and strong writing voice. It was when I was “forcing” myself to pump out stories for my creative writing class that I realized the words sounded like me. When I looked at stories written by me 3 years ago, it was like looking at a picture of myself ten years ago when I was six with a bad hair cut. Luckily, I like to think I have gotten a lot better by now. The point is, finding your voice is like finding that one piece of yourself that has been missing all along, and when it finally falls into place, everything clicks. Its the same with writing and discovering your voice. It all just suddenly makes sense. The good thing is, is that anyone can find their writing voice, and it may take more or less time than the person slamming their keyboard next to you. The important thing is to not give up, keep going. You’ll find it when the time is right. WRITE! – How easy is this? Super easy because if you are a writer that means you like to write. Shocker, right? No, but seriously. It is because I started writing so much these past few months that my writing voice really developed and became strong. I started setting goals and submitting to literary magazines and contests (which is how I sometimes motivate myself to write) and that is when I noticed a shift. Just sit down and write, and if you spend time doing that then you are on the right track. Take a Writing Class – When it comes to finding your voice, developing editing skills, etc, the more technical craft side of writing, a writing class is a phenomenal way to lasso your voice and reel it in. I am taking a Creative Writing 12 class (almost done though, fingers crossed I finish by the end of March) and because you are being forced to not only write but analyze other people’s work, your sound really starts shining through. Journal – When you journal you are writing about yourself. Through words you recap your day or your feelings, but the point is that writing about yourself means you are writing in your voice. Does that make sense? Not only is journalling a great way to find your voice, but it is also incredibly therapeutic! Try it out sometime. Read, Read, Read – By reading other people’s work, and reading in their voice, you will be surprised that it will help you find your own. You also realize what not to do when reading other people’s books, and how you can improve as a writer yourself. If you are a writer you are also a reader though, so this one like writing, should be a no brainer for you! Experiment: Write in New Genres and Styles – Test the waters, find out what works best for you. Maybe you have always wrote fiction, but by branching out and writing creative non-fiction or poetry you developed a voice quicker. Or maybe you always write fantasy but once you try another genre like sci-fi, something just clicks and you are one step closer to solidifying your writing voice. Sometimes the genre you think is best for you really isn’t, so give different genres and styles a try! The point is, this tip is beneficial even if you already have discovered your voice. Oh my…can we just talk about how this is the first book in such a long time that actually made me stay up into the depths of the night to finish it? Granted, it is a short book, but I was glued to the thing until I finished it and got that shocking ending. This book follows a “perfect” family who spends their summers on their grandparents private island. However, our main character, Candence cannot remember parts of her fifteenth summer due to an accident which resulted in her unconscious and face down in the water. 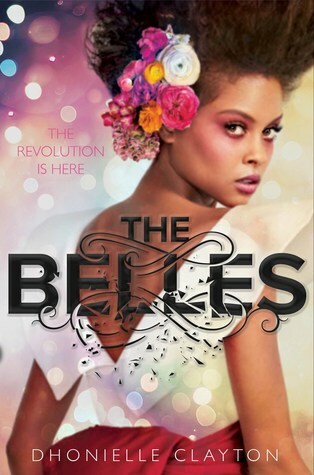 We follow her as she tries to uncover what happens, and all the secrets that unfold along the way. I really enjoyed this gripping and suspenseful book, and gave it a solid 4/5 stars! Wow, that was long, sorry for boring you to death! I hope you enjoyed this blog post and definitely share what books you managed to read this past month. Was it a good or bad reading month, what was your favourite read? Also, don’t forget to check out my last blog post: February 2018 Talk! Today is the last day of January of 2018 which is crazy, but I am also really excited because it means I get to talk about all the amazing new releases coming to us this next month! Before I get into this blog post, I just wanted to quickly feature the wonderful Elle from LaBeaute.org. Elle blogs all about fashion, beauty and lifestyle and has a whole bunch of amazing posts on these topics. If any of you guys want to feel motivated and inspired, check out her blog and give her some much deserved love! I can not express to you how excited I am for this movie. The trailer makes it look like a kickass, action packed film and right now, that is exactly what I am in the mood for! 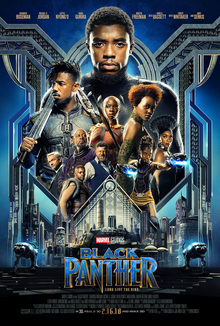 Black Panther follows this prince of the African nation of Wakanda, T’Challa, who after the murder of his father, must take over the throne and become the king. Cannot wait for this movie to hit theaters on February 16th, and hopefully you are excited too! 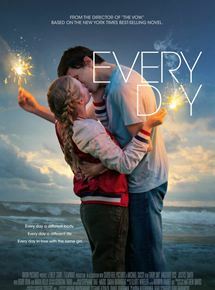 This movie is based of the YA novel by David Levithan, and follows our main character, Rhiannon, who falls in love with a spirit named “A”, that changes their physical form every single day. I am curious at how this story line will play out because it is quite peculiar, but that only makes me want to see it more. Hopefully it will be the emotional and impacting movie I hope it to be, but we will find that out on February 23rd!